For all day long – lasting soft & gorgeous make up with perfect fitness on skin any time, any where. Be confident any time, anywhere even under strong sunlight, against cold air! 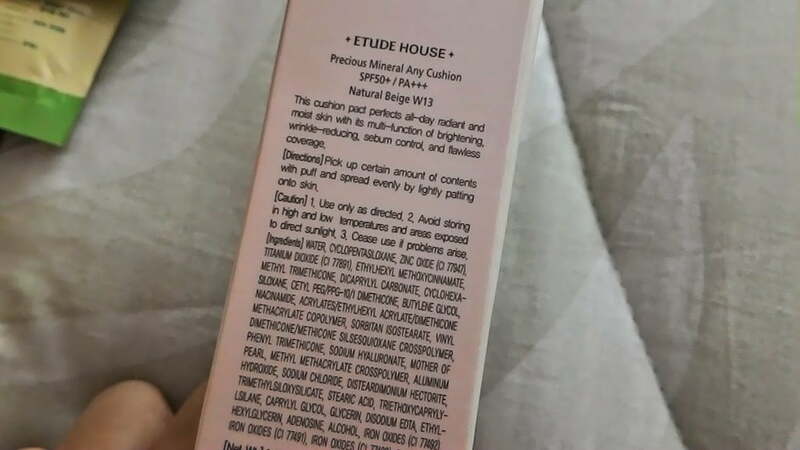 Revolutionary new concept cushion typed , all in one formula, ETUDE Any Cushion! Pearly Soft Skin – Bright and clean skin just like pearl – making skin cleaner and brighter with pearl mineral powder and niacin-amide that has whitening effect. Outstanding hold up technique prevents darkening & sticky. 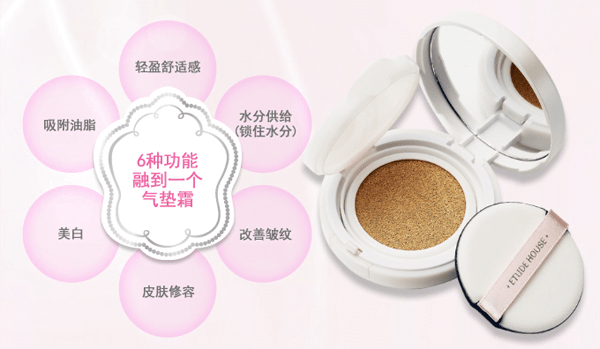 6 in 1 Speedy – multitasking , 10 seconds make up – Sunblock + Sebum powder+ Moisture essence + Whitening essence +foundation + cooling functions in one product. Taking 10 seconds to finish make-up. 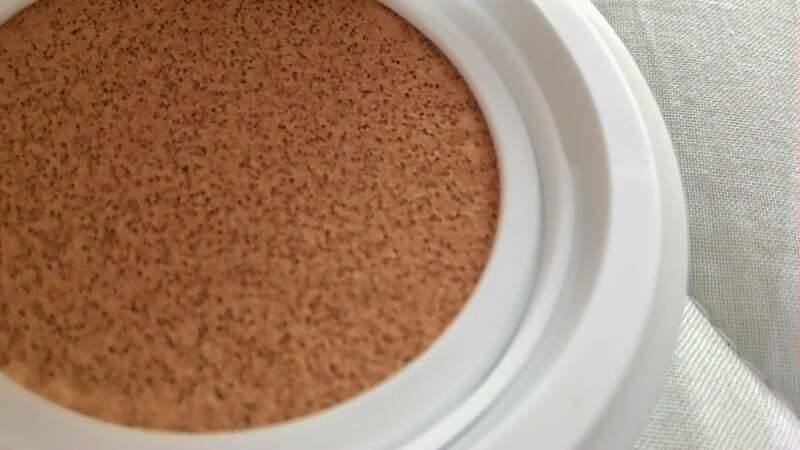 Easy stamping Technique – Use an exclusive air puff with evenly spread liquid foundation in holding cushion to fix make-up quickly and simply. Complete coverage / perfect fitting – Non smeared, matte finish – Clean and bright make up with complete coverage and perfect fitness. 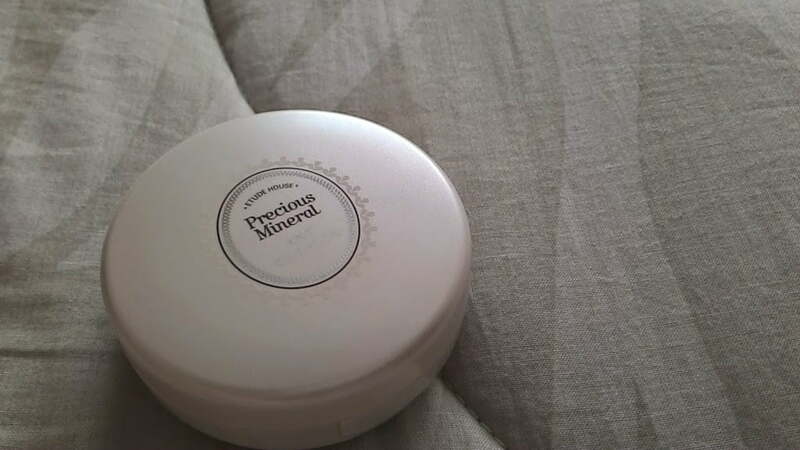 Sebum control powder removes oil so it prevents being greasy and makes flawless skin. Moisture Lock – Moist deep in the skin keeping satin finish with Hyaluronic acid sodium that contains plenty of water and helps moisturising. 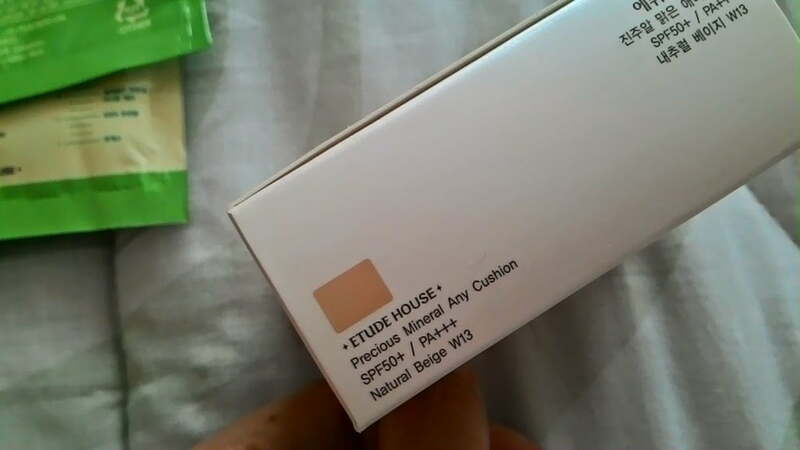 The Etude House Precious Mineral Any Cushion comes in 2 shades: Natural Beige W13, and Honey Beige W24 packed in a 15g/0.52 oz compact case which is very convenient to put into my handbag for daily use. Dina, the salesperson recommends me to get W13 as I have a fair skin tone. More even skin tone, skin looks smoother, and it does cover those light pigmented spots, and it gives my face an overall radiant finish. Just need an amount of contents with the special air puff, and spread evenly by lightly patting onto the skin. Bukan sapu macam bedak muka biasa. 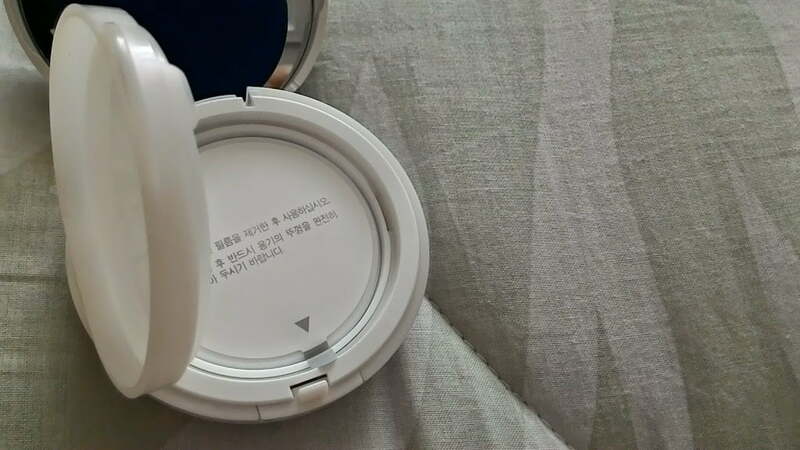 It has cooling effect, good sebum control, and really suitable for most skin types. No need to apply concealer to cover your imperfections. It looks very natural, and like you’re not even wearing make-up. Most of the make-ups will turn to oily and sticky after sometime under the strong sunlight. 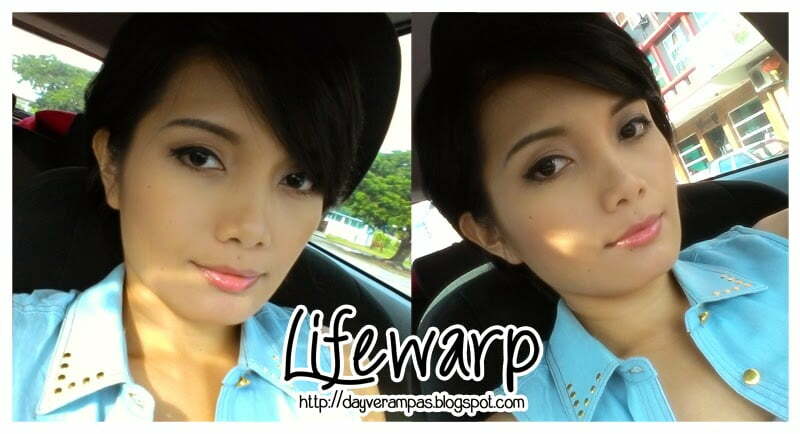 I must say that this product is able to maintain your make-up looks even after more than hours under the sun. It doesn’t make your skin dry or cakey even when you’ve been in the air-conditioned room for hours. 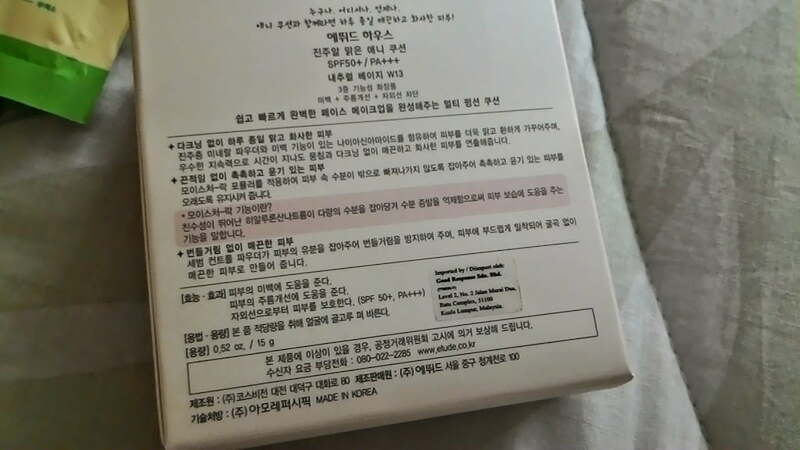 Kalau mau jadi macam Korean punya muka, mesti try ini. Lid needs to be closed tightly or you will end up with a ‘dry’ cushion. For more information and update, visit Etude House Malaysia. Click below and you will be redirected to the product.